Presenting the second in our series of Wellness Workshops! Join us Saturday, January 27, 12:15pm for Wellness Workshops Basic Nutrition II. This second workshop in our Wellness Workshop series is presented by Brianna Thielmann, a Vancouver-based health and wellness coach as well as a Registered Holistic Nutritionist and Kinesiologist. Brianna graduated UBC with a degree in Human Kinetics and Psychology and is part of the BC Association of Kinesiologists. She continued education at the Canadian School of Natural Nutrition as well as Precision Nutrition. 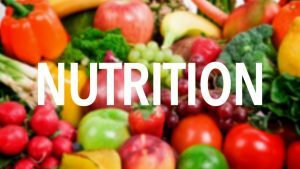 Wellness Workshops Basic Nutrition II expands on lessons learned in the previous workshop, which provided parents and students with a foundation of knowledge in nutrition required for athletes and non-athletes alike. Building on the basics of good nutrition, this workshop explains how to determine portion sizes and how to build the perfect meal. Subsequent nutrition workshops will continue delving into more specific areas, covering the particular requirements of elite athletes and dancers. Those not currently enrolled at FVAD may attend if space is available as of Friday, January 26. Entry donations of $5 (or any amount) will be gladly accepted to cover the costs of running these workshops.